Bloomeria crocea grows in full sun, on shaded damp north facing slopes, or almost anywhere that the tops of the flowers can reach above the surrounding foliage. 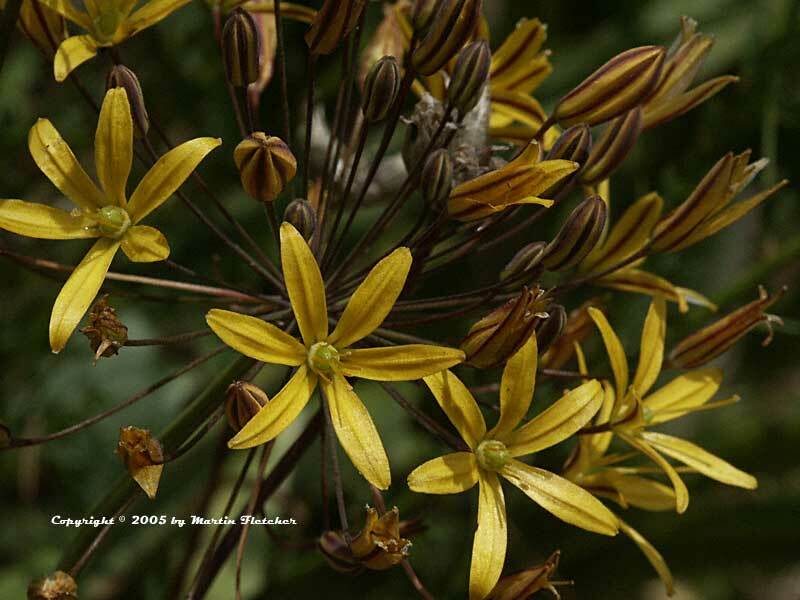 Goldenstar grows from near the coast to many locations in the Coast Ranges and the Sierra foothills. From watching Bloomeria crocea grow it seems that the only hard and fast requirement is that the bulbs dry out in the summer. Flowers and foliage of Bloomeria crocea the Golden Star. High resolution photos are part of our garden image collection.